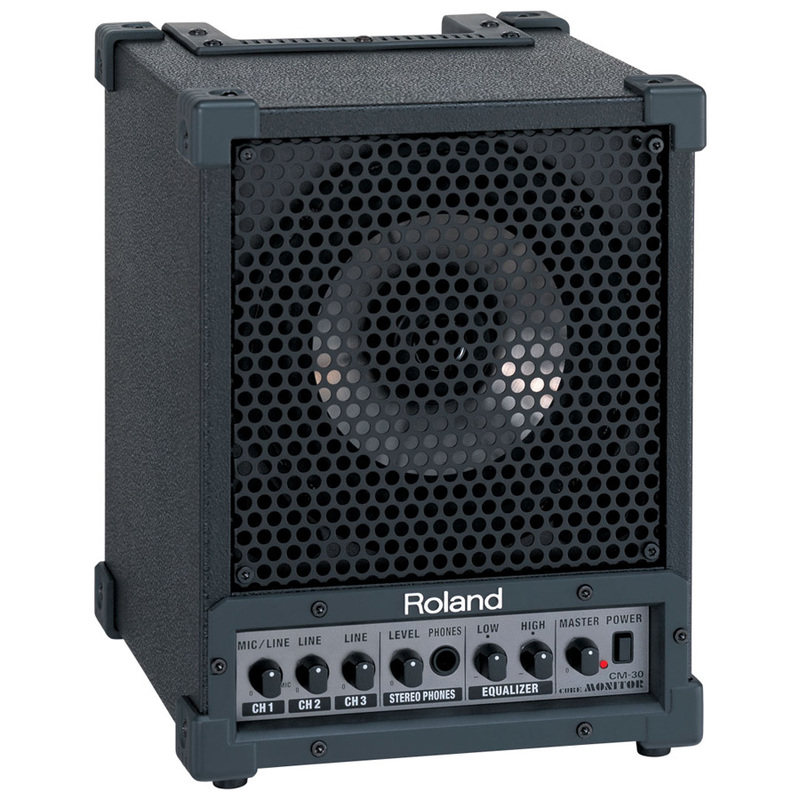 The Roland CM-30 Cube only cost 220 bucks and has a 30 watt output. That is not bad for the money; it is also a powered monitor with a metal grill over it to protect it and a good handle to carry it with. Carrying it is not hard because it is not very heavy nor is it big. It only weighs 12 pounds and it is about 10 inches tall and 8 inches wide. You can mount it on a pole or use it as a floor monitor. The sound that it produces is clean and warm but it is not very big. There is not even power for it to be used in a big club or even a medium size club which leaves me to think where it can actually be used at? There is no cross over frequency but it does have 3 input channels, only 1 of them is XLR and there are AUX inputs. This monitor is only for a small show or gig because you just cannot get a big sound out of it. If you are a traveling gigging musician then this could work great for you. For me I hardly ever gig as a musician anymore I just DJ now and this is no good to me anymore. My favorite aspect of this monitor is the 2 band EQ on it that will allow you to control your low end and high end right from the monitor no matter where you are. Having EQ controls on the go is crucial with a small monitor like this because you always need to shape your sound to your surroundings. 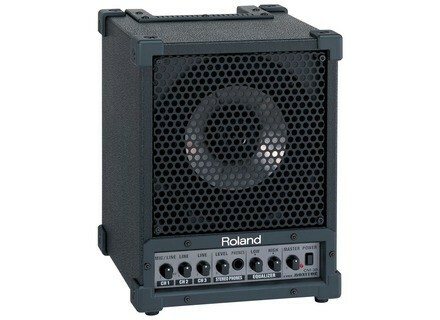 For the money, this could be one of the best 30 watt monitors you will find on the market for small gigging musicians. Also check out the Galaxy Hot Spot VC, it is very similar to this.